The Andover Inn is dedicated to protecting the privacy and safeguarding the personally identifiable information of the guests and visitors to The Andover Inn website. 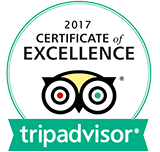 We strive to create an experience that is responsive to our guests’ needs by using the information you entrust us with responsibly. The Andover Inn is committed to respecting your privacy and adhering to the principles of applicable data protection and privacy laws throughout the world. We have provided this Privacy Statement as an explanation of the information we collect, how we use it, and how the use of this information can benefit your experience on our website. We wish to help you make informed decisions, so please take a moment to read the sections below. The Andover Inn collects information about our guests and visitors to our website so that we can provide an experience that is responsive to our guests’ and visitors’ needs. Information may be collected as part of fulfilling reservation, a request for information or responding to communications from us (e.g., surveys, promotional offers, or reservation confirmations). We endeavor to collect information only with your knowledge and with your permission when necessary. The types of personally identifiable information that we collect may include your name, home, work and e-mail addresses, telephone and fax numbers, credit card information, and personal preference information such as room preferences, leisure activities, and other information necessary to fulfill special requests (e.g., health conditions that require special room accommodations). The Andover Inn may also collect non-personally identifiable information about you, such as your communication preferences, travel habits, aggregated data relative to your stays, and responses to promotional offers and surveys. Providing services such as processing a transaction (e.g., making a reservation or fulfilling a request for information), marketing and communications with you in relation to the products and services offered by The Andover Inn. Our strategic marketing partners, and other trusted third parties performing market research via surveys to better serve your needs, improve the effectiveness of our website, your hotel experience, our various types of communications, advertising campaigns, and/or promotional activities. You will always be offered the choice not to submit your personally identifiable information or to decide what communications you want to receive from us. However, doing so may cause certain transactions to become affected. For example, not providing a name will prevent the processing of reservations. In most cases, the information you provide is added to a local or global database. In the course of processing your information, it may be necessary to transfer your personally identifiable information to third party service providers located in the United States and throughout the world for the purposes outlined within this Privacy Statement. As a general practice, The Andover Inn does not sell, rent, or give physical possession of your PII to unaffiliated third parties. Situations in which The Andover Inn may disclose your information to others include: when we have received your consent to do so in situations where sharing or disclosing your information is required in order to offer you products or services you desire (e.g., a vacation package). When companies or services providers that perform business activities on behalf of The Andover Inn require such information (e.g., credit card processing, customer support services, market research administration or database management services) to comply with legal or regulatory requirements or obligations in accordance with applicable law or court order in case of emergency such as to safeguard the life, health, or property of an individual. As part of our commitment to keep you informed, we may mail, e-mail, telephone, or contact you by other means to notify you of new services, or upcoming special offers, events, enhancements, or other relevant information that may be of interest to you at The Andover Inn. You may also receive mailings or other communications from carefully selected third parties. We always offer you the option to decline any or all of these communications by following the directions included in our e-mails or other communications, or by contacting us directly. We would like to keep all of our guests and visitors informed and equally able to take advantage of the services offered by The Andover Inn and its strategic marketing partners. However, if you reside outside of the United States, certain data privacy regulations may require us to obtain your permission before we send you information that you have not requested from us. In some cases your permission will be implied from the nature of the service requested or transaction undertaken. For example, The Andover Inn may collect and use personally identifiable information that you volunteer, or behavioral data or information collected in the aggregate. In addition, your permission will be deemed given for communications from us that are necessary to fulfill transactions and services that you request. The Andover Inn recognizes the importance of information security, and is constantly reviewing and enhancing our technical, physical, and logical security rules and procedures. The Andover Inn website and servers have security measures in place to help protect your personally identifiable information against loss, misuse, and alteration while under our control. Although “guaranteed security” does not exist either on or off the Internet, we safeguard your information using both procedural and technical safeguards, including but not limited to the use of password controls and “firewalls”. Cookies are designed to save you time because they help us to provide you with a customized experience without you having to remind us of your preferences each time you return to our web pages. The Andover Inn website cookies are not designed to damage your files, nor can they read information from other files on your computer hard drive. The Andover Inn cookies are limited to our website only, and are not designed to follow you when traveling on the Internet after leaving The Andover Inn website. We track the usage of our website in order to better meet your needs and to help make it easier for you to find information in the future. You may be able to prevent your browser from accepting any cookies at all. You should refer to the supplier or manufacturer of your web browser for specific details about cookie security. However, you should also understand that rejecting cookies might affect your ability to perform certain transactions on our website and our ability to recognize your browser from one visit to the next. The Andover Inn website also uses invisible pixels, sometimes called web beacons, to count how many people visit our web page. Information collected from invisible pixels is used and reported in the aggregate and does not contain personally identifiable information. The Andover Inn may use this information to improve marketing programs and content. In order to anticipate your needs, The Andover Inn website provides links to other websites for your convenience and information. The Andover Inn is not responsible or liable for any content presented by or contained on any independent website, including, but not limited to, any advertising claims or marketing practices. Please note that while The Andover Inn will protect your information on The Andover Inn owned and operated website, we cannot control and will not be responsible for the privacy policies of third party websites. Third party websites that are accessed through links on our website have separate privacy and data collection practices, and security measures. We have no responsibility or liability for the practices, policies and security measures implemented by third parties on their websites. We encourage you to contact them to ask questions about their privacy practices, policies and security measures before disclosing any personally identifiable information. We recommend that you review the privacy statements and policies of linked websites to understand how those websites collect, use and store information. The Andover Inn does not seek to obtain nor does it wish to receive personally identifiable information directly from minors; however, we cannot always determine the age of persons who access and use our website. If a minor (as defined by applicable law) provides us with his/her data without parental or guardian consent, we encourage the parent or guardian to contact us to have this information removed and to unsubscribe the minor from future marketing communications. The Andover Inn may amend this Privacy Statement from time to time in order to meet changes in the regulatory environment, business needs, or to satisfy the needs of our guests, properties, strategic marketing partners, and service providers. Updated versions will be posted to our website and date stamped so that you are always aware of when the Privacy Statement was last updated.